Flexible and Foldable smartphone is one concept most phone manufacturers have been silently working on for years now. But while some companies like Microsoft are busy filing patent for the design, others are already creating a concept version of it. 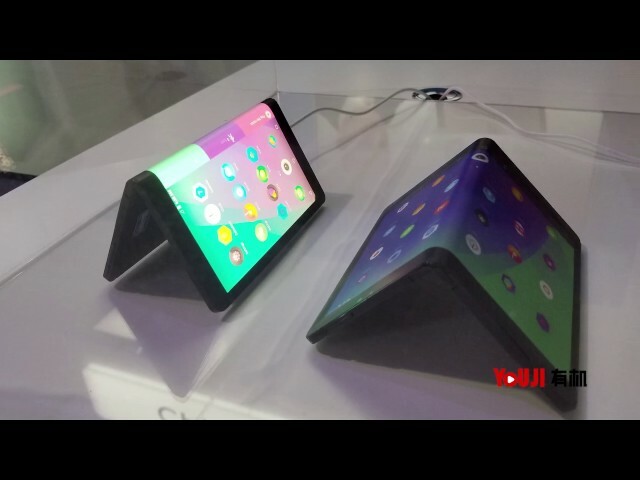 At the recent Lenovo Tech World 2017, Lenovo displayed it's foldable tablet which is called Lenovo Folio concept. The device features a flexible touch screen which expands from 5.5 to 7.8 inches and vice versa. The device which is powered by 2013 Snapdragon 800 chipset features a resolution of 1440 x 1920 pixels. The Lenovo Folio concept uses an e-sim and also runs on Android 7.0 Nougat. Note that this is still a concept device which means it's not mass produced or market ready yet and there is actually no official statement from Lenovo yet as to when the device will be available in the market.